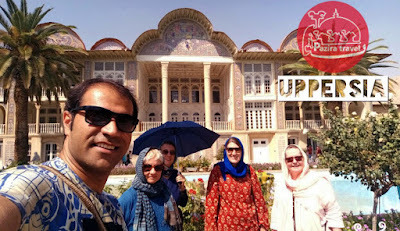 Uppersia Iran Travel blog: National Persian Gardens Day. 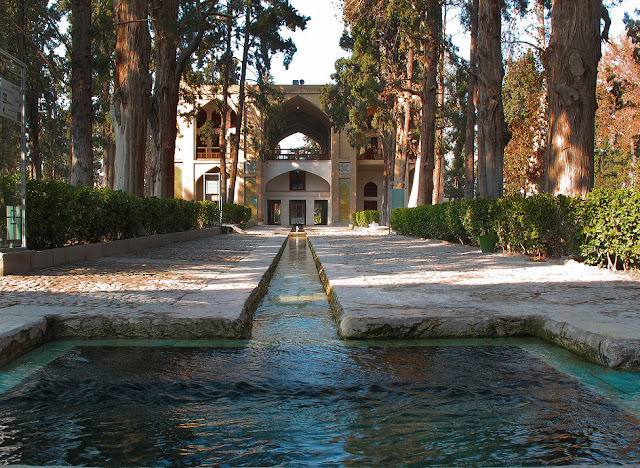 Being registered as a chain UNESCO heritage site, the nine heavenly Persian Gardens are among the attractions that every traveler tries to include in their trip itinerary while traveling in Iran. Today, October 12th is National Persian Garden Day. Travelers visiting Eram Garden of Shiraz, Iran. Persian Gardens present their very own magnificent properties, including intersected water streams, the rows of high cypress and plane trees surrounding the garden and a gloriously ornamented pavilion at the center usually faced to a water pool exhibiting the holiness and the brightness of water. Persian gardens were originally designed to evoke the mythical and spiritual mood of the legendary Garden of Eden. The amazing fact is that holy books like Quran, Bible and ancient Zoroastrian books describe the Garden of Eden with the same appearance and properties as the Persian Gardens. 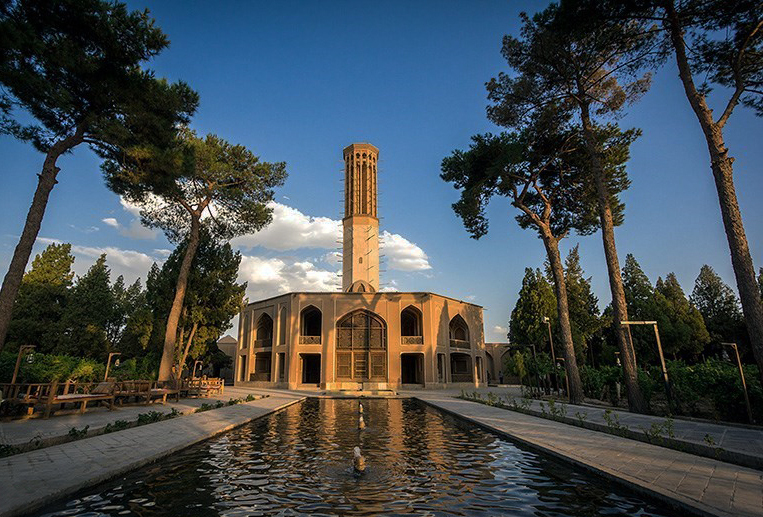 Dowlat Abad Garden in Yazd, Iran. Even some old Persian carpets weaved in Kerman, Kurdistan and Bakhtiari cities are known as the unique and rare “Garden Carpets”. These carpets resemble the plan of an original Persian Garden from the top. Walking on such carpets must be a fantastic experience! Fin Garden in Kashan, Iran.